Adventures of a Thrifty Mommy: 2011 Holiday Gift Guide: Kidorable Holiday Gift Buying Quiz and Giveaway! - CLOSED! 2011 Holiday Gift Guide: Kidorable Holiday Gift Buying Quiz and Giveaway! - CLOSED! So you all know how much I love all of the adorable items over at Kidorable right? 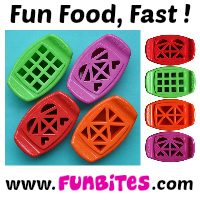 Well I am excited to include Kidorable in my 2011 Holiday Gift Guide! Bella and Sam both have rain coats, rain boots and umbrellas from Kidorable and they just love it when it rains now! Right now you can take a fun Holiday Gift Buying Quiz over at Kidorable to help you with your gift buying decisions for your kids! We all want our kids to get great gifts that they love and won't collect dust at the bottom of thier closet or toy box. Kidorable is here to help! Take this fun quiz to help make gift buying easier! In my opinion, Kidorable items make great gifts! My kids really love their Kidorable umbrellas, rain boots and rain coats! When they received them, I got big smiles and big hugs! They are so cute and wear well! Sam has had his set for about a year and you can barely tell they've been worn! Believe me, he has worn them a lot! Click here to purchase some great holiday gifts from Kidorable! This giveaway ends November 23, 2011 at 11:59 pm. Good luck! Disclosure: I was not compensated for posting this in any way. This is my completely honest opinion above and may differ from yours. Because I do not directly ship most giveaways from my home, I cannot be held liable for lost or not received products. I follow you on GFC and love the zebra umbrella. I entered the Day of the Diesels giveaway! I entered the Wild Dill giveaway! I follow Adventures of a Thrifty Mommy on Google Friend Connect and I like the Fireman Umbrella. I like Kidorable on Facebook and I like the Fireman Umbrella. I like Adventures of a Thrifty Mommy on Facebook and I like the Fireman Umbrella. I follow Adventures of a Thrifty Mommy on Networked Blogs and I like the Fireman Umbrella. I entered the Harry Potter DVD giveaway! I would love the frog umbrella. I also entered your Kidtoons: Thomas - Day of the Diesels Prize Pack giveaway! I entered your Peter Pauper Press: Sock Monkey Rescue Kit giveaway too! Following you on gfc. I went to the site. I think the Frog one is the best, (Cnfc800@gmail.com) Christian N.
GFC follower and I love the frog umbrella. I love the Pirate umbrella! I entered the second Harry Potter DVD giveaway! I am a GFC Follower and I would LOVE to get the Pirate umbrella for my three year old!